Cold rolled square steel bar 1018 is a low carbon steel that maintains close dimensional accuracy. This steel bar product has a smooth surface finish is machinable and displays excellent mechanical properties. In addition, it is easy to weld, form, cut and machine. This product is ideally suited for bending and cold forming. 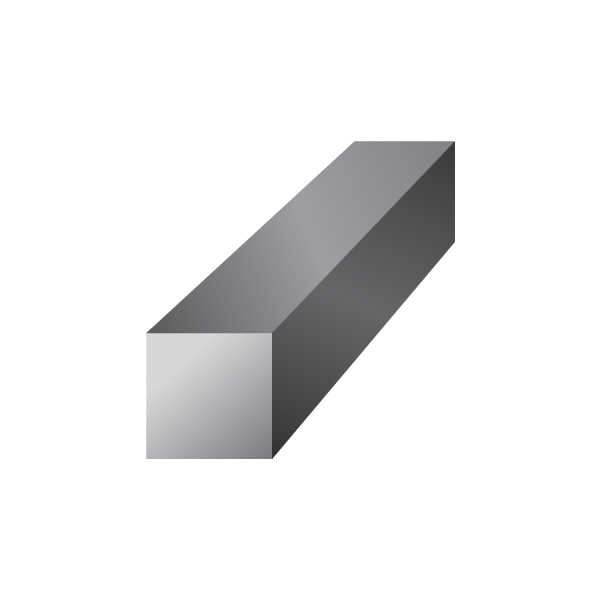 Hot rolled square steel bar is characterized by its unique radius corners, compared to the sharp corners of cold rolled steel. This hot rolled product maintains excellent mechanical properties and is simple to fabricate through conventional methods including welding, hot forming and mild cold forming. Industrial Metal Supply stocks a wide range of sizes of steel square bar for your specific project needs. Contact us for more information or to request a quote today.